A few weeks ago, a frost hit our area, but since we are so close to the Potomac River, the temperatures didn’t hit low enough for the frost to hit the garden. My two pepper plants, along with the chard, buttercup squash and acorn squash were spared for now, but the frost will happen eventually. 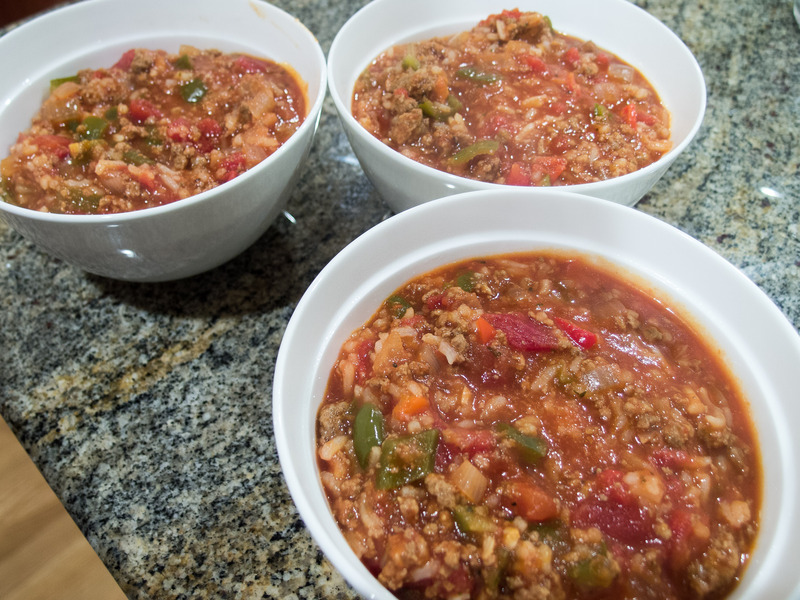 I’ve been playing around with recipes to use up or preserve the remaining garden goodies, including this recipe for Stuffed Pepper Soup. 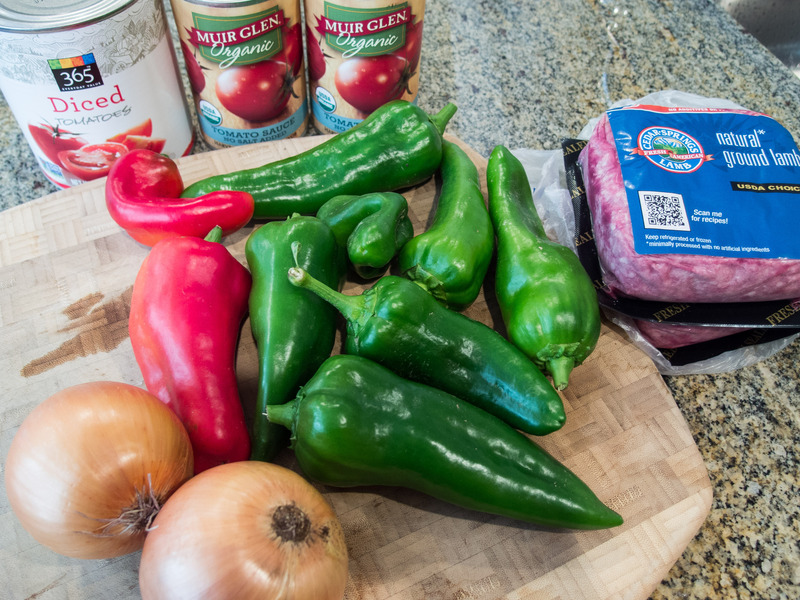 I love stuffed peppers, but the skinny Italian peppers I grow don’t lend themselves to being stuffed, so I came up with this yummy ‘deconstructed’ version. It really is a full meal in a bowl and perfect for a chilly fall evening. 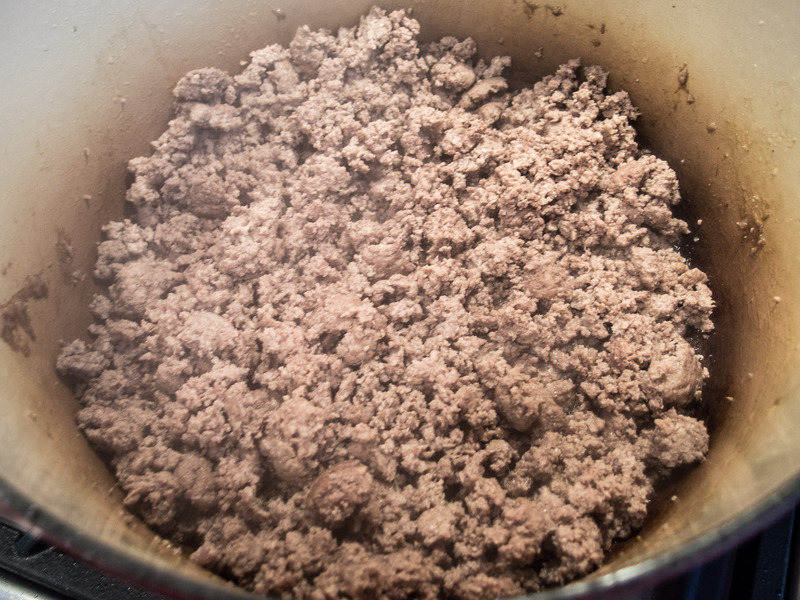 Brown ground lamb over medium heat for 6-8 minutes. Drain off the fat, leaving about tablespoon of fat in the pot. Add onions and cook for 5 minutes, then add the garlic and cook for an additional minute. 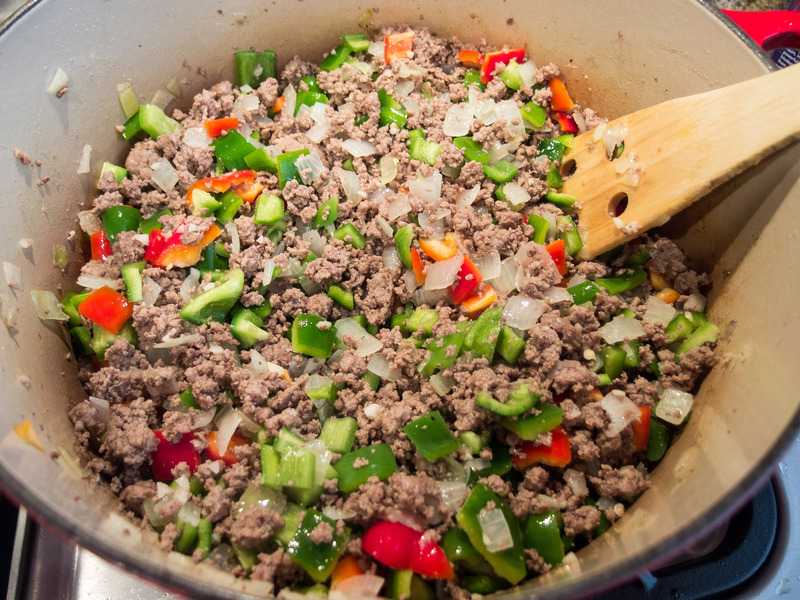 Add the bell peppers and cook for 3-4 minutes. 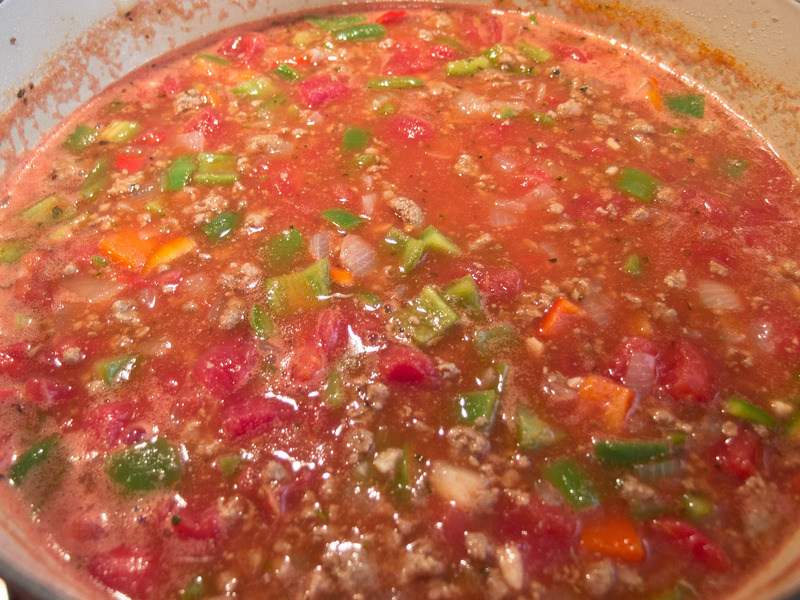 Add the stock, tomato sauce, diced tomatoes, roasted or sun dried tomatoes, spices and brown sugar. 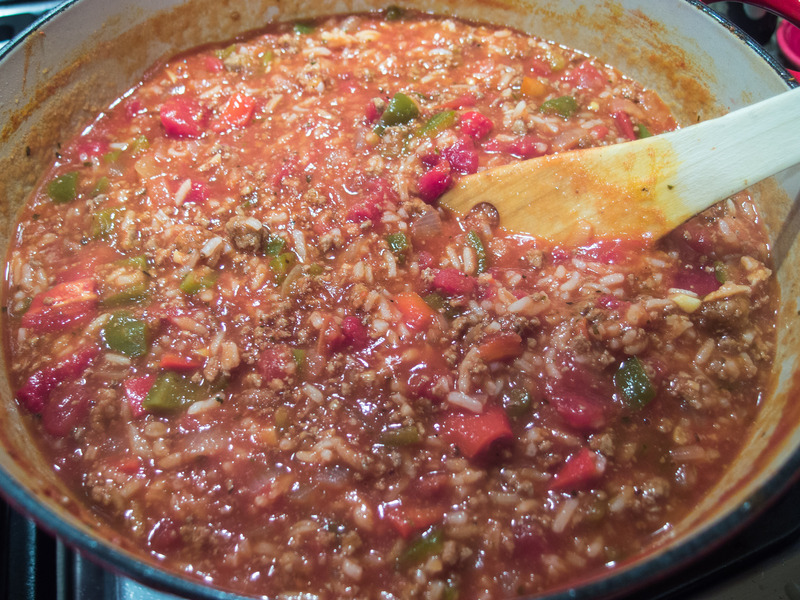 Mix together and bring to a boil, then reduce and let simmer for 30-40 minutes. Cook the rice in a rice cooker or on the stove top, according to package directions. When finished fluff with a fork. 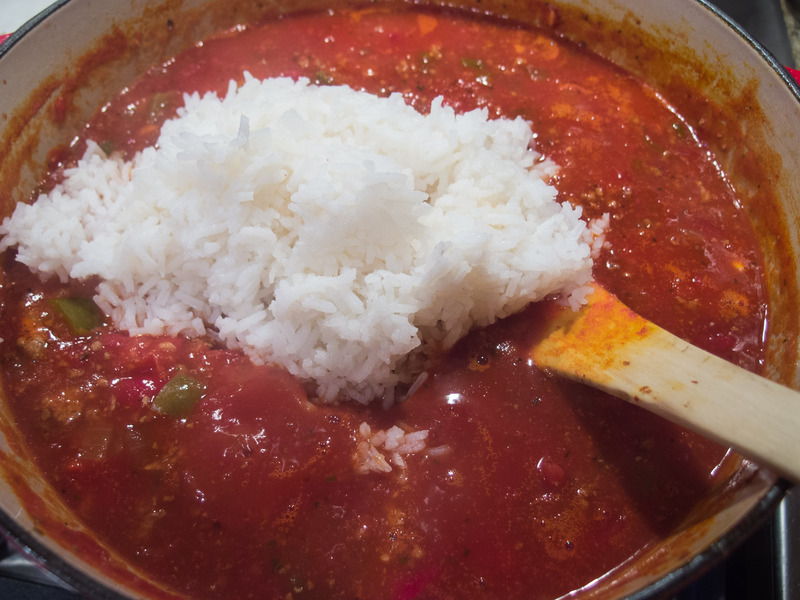 Transfer the rice to the soup pot, stir to combine and serve immediately. Had this in a local restaurant once and loved it. Mary’s version is delicious, hearty and filling. Great for winter meals.